hd00:06A construction worker gunning some nails on the lumber for the houses roof. 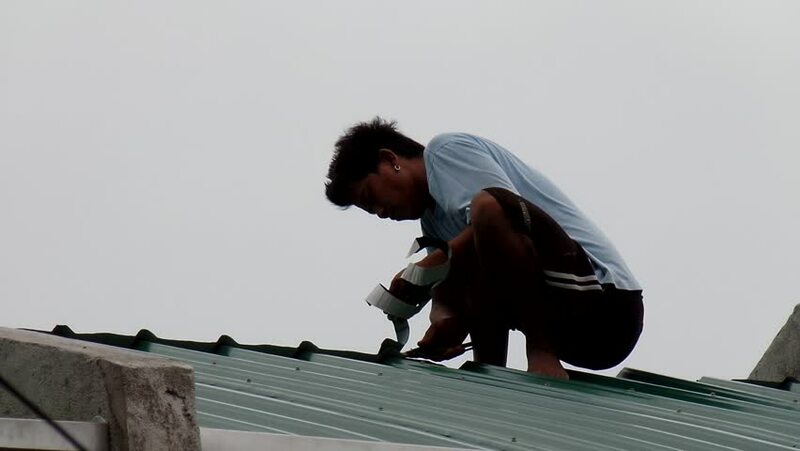 Two roofers fixing roof with their equipments than using hammer and screw drivers manually. 4k00:11NEW DELHI - November 30, 2013: Parcel workers busy working at The New Delhi Railway Station. 4k00:06Folding kayak. Assembling the kayak on the shore of the Bay of Kotor.